Ford, Harold, Jr. More Davids Than Goliaths: A Political Education. New York: Crown Books, 2010. 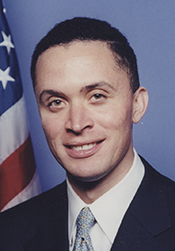 Harold Ford, Jr. in Black Americans in Congress, 1870-2007. Prepared under the direction of the Committee on House Administration by the Office of History & Preservation, U. S. House of Representatives. Washington: Government Printing Office, 2008.